iOS 10 has a lot of big features, but it's the tiny changes that are about to make your life a lot easier. Apple’s latest version of iOS is only available for developers right now, but we’ve already found plenty of reasons to get excited about iOS 10. The big features in iOS 10 are impressive: Photos has facial recognition, Messages gets an emoji overload, and Siri will be able to hail you a Lyft. But iOS 10 is exciting not only because of the major makeovers. Apple’s upcoming mobile OS also has a lot of small, dare-we-say hidden surprises, too. Here are five of the best-kept secret features coming to your iPhone this fall. Siri in iOS 10 now can tap into your iPhone’s sensors and can tell when you’ve stopped driving your car and started walking. Siri automatically drops a pin at this location—which is most likely where you’ve parked—then sends you a notification, and adds it to Maps. Apple’s iOS 10 has a raft of new messaging, location, security and app features. No more blinding lights. In iOS 10, you’ll be able to change the intensity of the flashlight; pick between low, medium, and high. Simply pull up the Control Center and use 3D Touch to tap on the flashlight icon. One of the features that I find to be one of the most irritating things about the iPhone is that it automatically pauses the music every time you launch the Camera app. That all changes with iOS 10: You can take pictures of your friends without abruptly interrupting the dance party or record video selfies of you lip syncing to Queen. 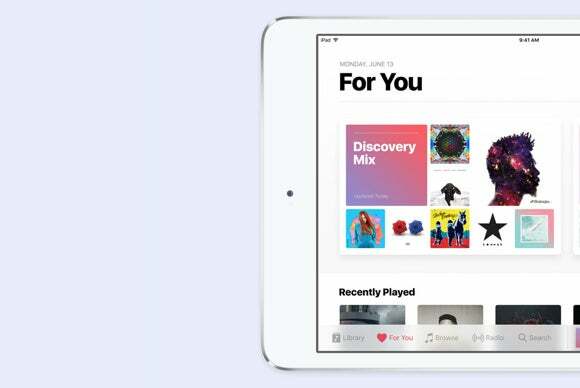 Apple’s iPads and iPhones will get new interface features with iOS 10. Apple didn’t completely revamp Mail in iOS 10, but it did include a much-needed feature. Now, every time you get an email from a mailing list, you won’t have to scroll all the way down to tap “unsubscribe.” Mail will automatically generate an unsubscribe link at the very top. This one’s a real life-saver for people with 16GB iPhones. In iOS 10, there’s a new setting that will allow you to optimize storage. How does this work? Well, if you are running low on storage, iOS 10 will automatically remove downloads of songs you haven’t listened to in a while. You can also set minimum storage that you can designated to music downloads, from none to 32GB. What else are you excited about regarding iOS 10? Sound off in the comments below.